The XP Ford Falcon is the fourth and final iteration of the first generation of one of Australia’s best locally built automobiles. Released in February of 1965, the XP succeeded the XM Falcon, and stayed in production until the end of September 1966. Changes that the XP brought with it included the introduction of a torque box steel subframe that was said to vastly improve the cars structural rigidity. The Falcon could be had by customers in a number of different body styles that included a four-door sedan, five-door station wagon, two-door hardtop, two-door ute and a two-door panel van. Power was derived from either a 2.3lt, 2.8lt and 3.3lt inline six-cylinder engine, and the power from these collective motors was sent to the XP’s rear wheels via either a two or three-speed automatic or a three-speed manual transmission. This particular XP is a ’66 model wagon and comes equipped with the 2.3lt inline six pot motor and three-speed manual transmission. According to the seller, this is a rare original XP wagon and, if it were afforded some TLC, would be a great car. 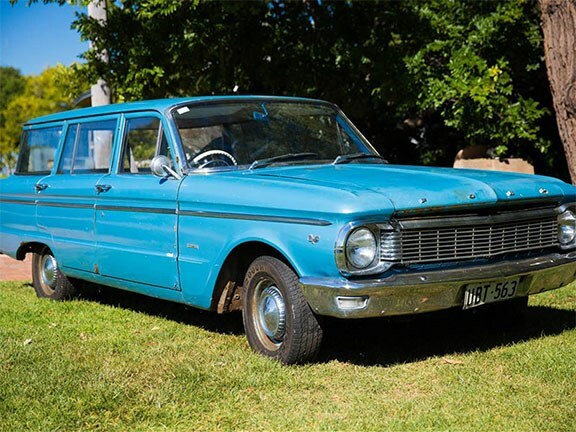 The XP Falcon wagon is $7000 and anyone interested in this Aussie classic can view the full listing here.